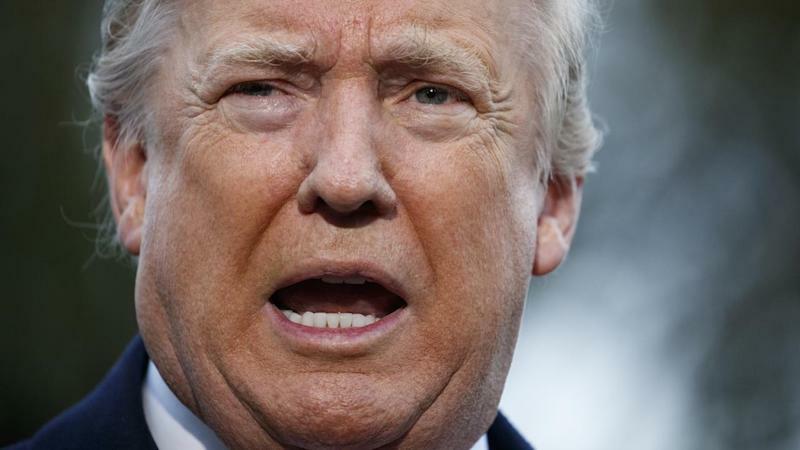 Mr Trump also attacked his counterpart over nationalism and took exception to Mr Macron's vision for a "true European military", which the French president said would enable Europe to defend itself against any possible future threats from China, Russia and the US. French President Emmanuel Macron delivers a speech while President Trump looks on before a lunch Sunday at the Elysee Palace in Paris as part of the commemoration of the 100th anniversary of the 1918 armistice that ended World War I. (Jacques Demarthon/AP) James McAuley Foreign correspondent focusing on French and European politics and culture November 14 at 3:50 PM PARIS — Responding to President Trump’s attacks on his French counterpart, France’s government struck back Wednesday, accusing Trump of lacking “common decency” by spewing invective on the same day the country was commemorating the victims of a major 2015 terrorist attack. PARIS (Reuters) - President Emmanuel Macron on Wednesday told Donald Trump that France was the United States’ ally and not a vassal state after the U.S. president attacked him in a series of tweets that demonstrated how much their relationship had soured. Asked in an interview on the Charles de Gaulle aircraft carrier whether he was offended by Trump’s tweets, Macron talked at length about the long military alliance between the two countries, from America’s War of Independence onwards. But asked whether there was a deeper misunderstanding between the two countries after Macron’s comments about a European army infuriated Trump, Macron said being a U.S. ally did not mean being subservient. Image copyright Getty Images Image caption Mr Macron and Mr Trump had appeared to smooth over their differences at the weekend US President Donald Trump's tweets mocking his French counterpart Emmanuel Macron were inappropriate and showed a lack of "common decency", France says. After being invited to Paris to attend the Bastille Day military parade in July last year and receiving Macron and his wife for a state visit in Washington in January, Trump had praised Macron as a “great guy” and “a friend of mine”. Speaking to reporters during a visit to a French warship after Mr Trump's comments, Mr Macron said what matters is "what we do with the US army". “The problem is that Emmanuel suffers from a very low Approval Rating in France, 26%, and an unemployment rate of almost 10%,” Trump wrote, attempting to explain Macron’s remarks. On Tuesday, Mr Trump attacked Mr Macron over nationalism, plans for a European army and the French leader's ratings. The French Gov’t honored our Vets over Veterans Day weekend more than Trump did. The French walked in the rain for our Vets. Trump didn’t. The French went to Arlington National Cemetery to pay their respects. Trump didn’t. Thank you France for honoring our Veterans, unlike Trump. Man who worked at company that built Trump’s helicopter says: “When I read that the aircraft could not fly in the wet, fall weather in France, I was stunned.” Seems Trump lied to us, again. In five posts sent on Tuesday after a visit to Paris to mark the 100th anniversary of the end of World War One, Trump reminded France of its near-defeat by Germany in two wars, took a swipe at its wine industry, and mentioned Macron’s falling approval ratings. Frances government has fired back at a flurry of critical tweets by Donald Trump, suggesting he lacked common decency by launching his broadside on a day when France was mourning victims of the November 2015 terror attacks. This morning, President Trump encouraged Americans to study opinion polls in France, apparently unaware of a recent survey there showing that 8 of 10 French citizens consider him to be a dangerous, incompetent racist. In a string of tweets, Trump just mocked France for its World War losses, defended his decision to skip Armistice ceremony, and accused the French of being “more Nationalist” than any other country. And today is the anniversary of the 2015 Paris attacks. Trump should have respected Frances mourning on the Paris attacks anniversary, the French govt. spokesman says. We were commemorating the murder of 130 of our people, he said. So Ill reply in English: common decency would have been appropriate.